Home / Blog / This Will Only Take a Second. The brain naturally works faster than you think, almost literally. Research has shown that it takes time as little as 13 milliseconds for your brain to process an image. This means your brain will work faster to understand the concepts in a visual input such as colors, shapes, and familiar objects. All of this happens before you can come up with an opinion about it and at amazing speeds such as this, it’s really difficult to dismiss that first impressions are something crucial. Another research shows it took 1/10 tenths of a second to make your mind up about someone. That’s how important first impressions are. People spend their days worrying about how they look, all this for good cause. Looking good doesn’t only feel good, but it’s beneficial. A good first impression lasts throughout a lifetime. Because the same goes with your website, it doesn’t take long for visitors to determine whether they want to stay in your website or not. 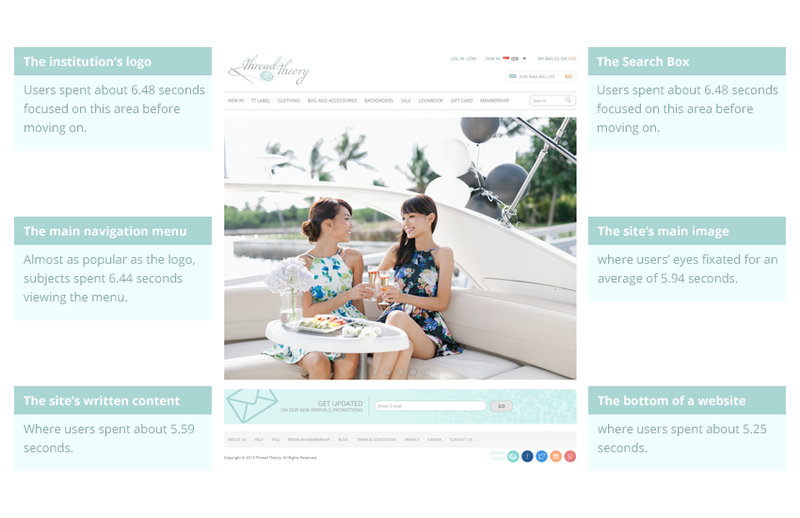 A study conducted by the Missouri University of Science and Technology stated that an average person spends 2.6 seconds to determine which part of the website is most appealing. How they did it? Using eye-tracking software and infrared cameras. 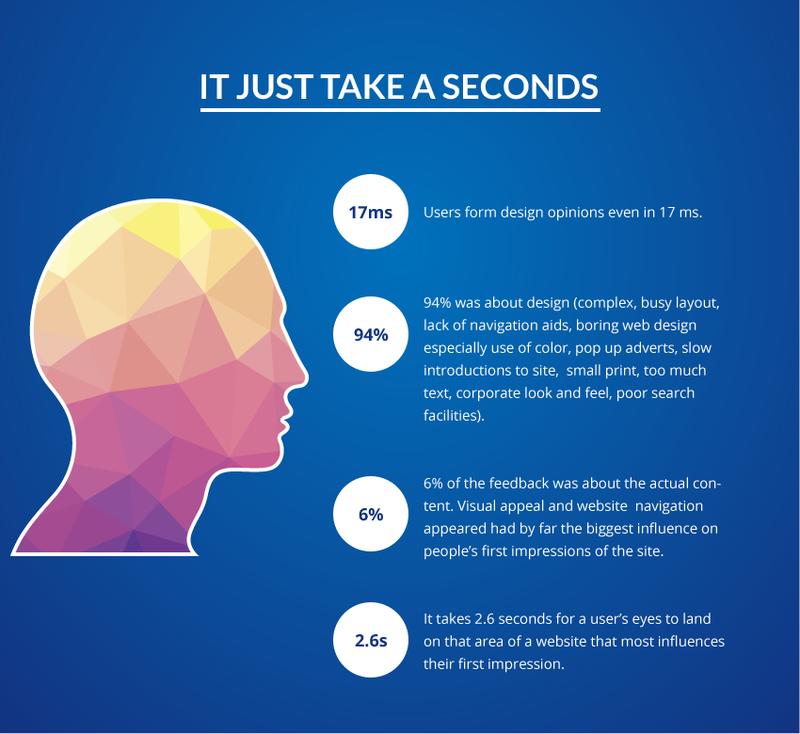 An analysis of eye movement compiled from the recorded test subjects, helped figured out how much time a normal web visitor will focus on different areas of your site. The importance of first impressions really detrimental on a day-to-day basis, we as people are so used to quick-fire snap judgments to make up our minds. Whether in business or in aiming to be memorable, the first few seconds defines the interest point when it comes to visitors of your website. 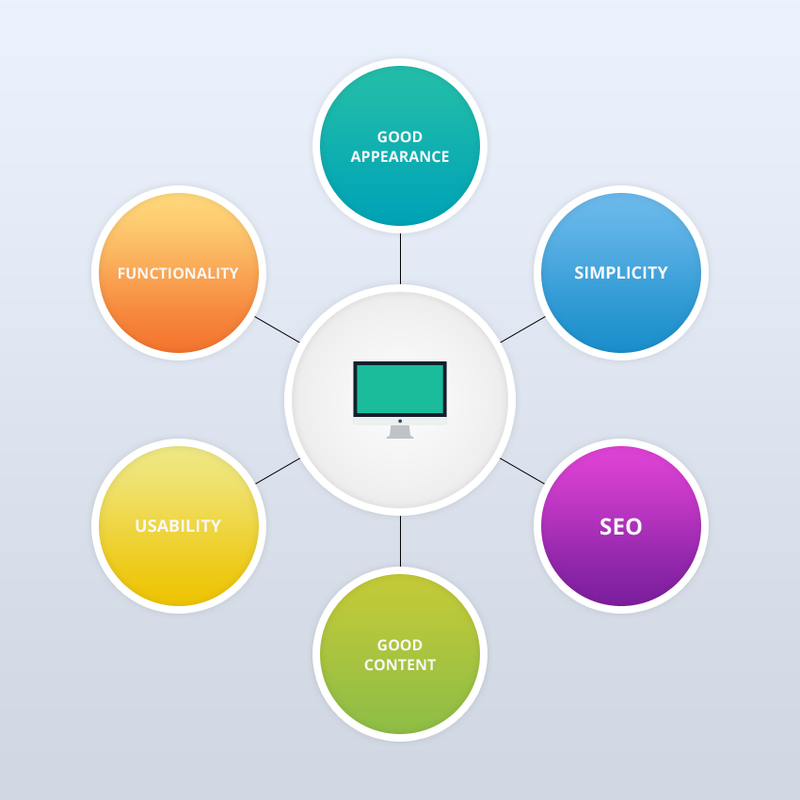 So dapper up and look good, brainstorm with your team to really maximize the design aspect of your website.